I am so excited to be blog swapping with Cher today!! My name is Lindsey and I blog over at Inspiring Creations. I am a wife, mother, and student. I love creating and inspiring others to create too! When Cher asked me to do a blog swap I was so excited to share some of my love crafts and ideas with you. I love celebrating Valentine's Day! Which is funny because I'm not a very romantic person---but my husband is VERY romantic! I think that's why I like it so much, because I know he always has something fun and romantic planned for me each year! Right now we are "poor college students" :) and we can't always afford to go all out like we used to for Valentine's Day. So I came up with a solution this year. 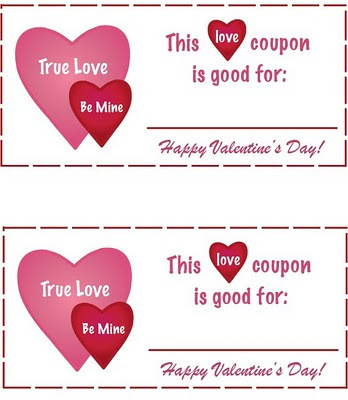 I am making my hubby these love coupons! Aren't they fun? I can't wait to use them! You can be as romantic as you want or you can just have fun with them! I thought I would make them into a PDF so that anyone that wants to use these can for free. You can print them here. 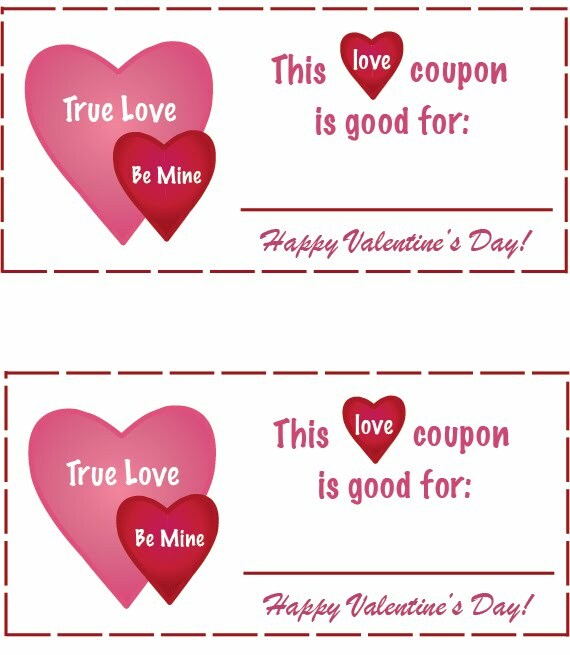 If you are looking to make your sweet someone something personal to put your love coupons in my next idea would be perfect. I made this album for my hubby's birthday last year and he LOVED it! For the second page, I made a pocket that holds "love coupons"
On every page I tried to put a love quote on it and I tried to keep it simple. If you want a fun craft to make for Valentine's Day I have a ton of great and inexpensive crafts that will make your home look so fun and festive for Valentine's Day! You can check out all of them here. I love conversation hearts, they are a must for Valentine's day. I made my own version of the popular candy, but mine are not edible! :) You can find the tutorial here. Every Valentine's Day we make sugar cookies in our house. These are not just any sugar cookie, these are the BEST sugar cookies EVER! :) You will be surprised to find out that these are Wheat Sugar Cookies...but they are extremely soft and super yummy. This is a great way to spend time with your kids and a great way to celebrate Valentine's Day. You can find the recipe here. What a great idea to do a blog swap! I love both of your ideas. I love those wooden hearts. What a great idea! Cute stuff!! I think I have a pretty dang good sugar cookie recipe, but yours look so yummy I may actually try those. Thanks! Adorable!!! I have been looking for a sugar cookie recipe. So excited to try yours! I checked out her blog and she has some great ideas! I bookmarked her love tree and be mine sign! I love it! I'm a student at Friendly High School and it was an assignment to create a blog so we can get to know different people and introduce them to our blog. Feel free to visit my blog! picture frame with your wedding pic. I'll visit your site now..thanks for sharing. Love these ideas!!! I can't wait to put them in place...i may use some of these ideas for our one year anny. Wow! Nice romantic gift ideas for Christmas.I really love this.To get more like this,just visit the following site. BEST UNIQUE VALENTINE DAY GIFTS.